The People’s Bank of China surprised global markets on Friday by cutting its benchmark lending and deposit rates by 0.25%. The measure was taken to try to stimulate borrowing and spending without squeezing banks’ ability to profit from the spread of the two rates. The PBOC also cut banks’ reserve-requirement ratios by 0.5% to further pump liquidity into the economy. The move by the central bank comes after China reported growth of 6.9% in the 3rd quarter, which while beating estimates of 6.8%, was its slowest pace of growth since the global financial crisis. Gaining over 40% of the popular vote, Justin Trudeau of the Liberal Party has been elected the Prime Minister of Canada, ousting Conservative PM Stephen Harper after nine years in power. Trudeau has pledged to run a large budget deficit over the next three years to invest in infrastructure and try to stimulate Canada’s economy that has suffered from the steep decline of oil prices. Equity markets continued to advance upwards this week. The S&P 500 ended the week up 2.09%, closing at 2,075. Similarly, the Dow Jones increased 2.56% and closed at 17,647. Year to date, the S&P is up 2.45% and the Dow is up 0.93%. Yields in the Treasury markets moved a bit higher this week. The 10 year Treasury bond now yields 2.09% while the 5 year Treasury bond now yields 1.42%. The spot price of WTI Crude Oil declined this week. Prices fell by 6.33% closing at $44.70 per barrel. In 2015, WTI Oil prices are down 24.81%. The spot price of Gold decreased this week, losing 1.09% and closing at $1,164.45 per ounce. Year to date, gold prices are down 1.68%. Initial jobless claims came in at 259,000 which was an increase from the prior week’s figure of 255,000. The Labor Department noted that there were no special factors that affected the claims figure. The four week moving average for claims now stands at 263,000, which is a new low for this economic cycle. Housing starts increased by 6.5% in September, solidly beating consensus expectations. The gains were largely driven by an 18.3% increase in starts for the more volatile multi-family structures, while single-family starts increased only 0.3%. Existing home sales rose by 4.7% in September, beating consensus expectations. The increase followed a dip in August and was entirely due to purchases of single-family homes, which rose 5.3%. The median price of existing home sales was up 6.6% from a year earlier. According to the Bureau of Labor Statistics, the average American worker will hold 9.9 jobs between the ages of 25 and 48, for an average of 2.4 years per job. Growing a small business into a larger one can take more than long hours and determination. Often, it takes financing. When it comes to sources of funding, small business owners have more options than ever before thanks to new online sources. But for all the excitement of such easily accessed solutions, the results may not be what you’d expect, or what your small business needs. Despite being regulation bound, a bank may actually be able to do more to help your company. Because Old Second’s business model is relationship based, we get to know you, your company and, most importantly, your goals. We are also likely to be able to provide you with your lowest-cost financing option. That’s because when you reach out to a community bank, you end up with a customized loan. For example, at Old Second, there are no standard loan products. Every financing solution is custom fit to each firm’s cash flow….and growth. And for businesses that qualify, we can also build these solutions using a variety of lower-cost sources, including SBA loans (which benefit from government incentives offered by the Small Business Administration). 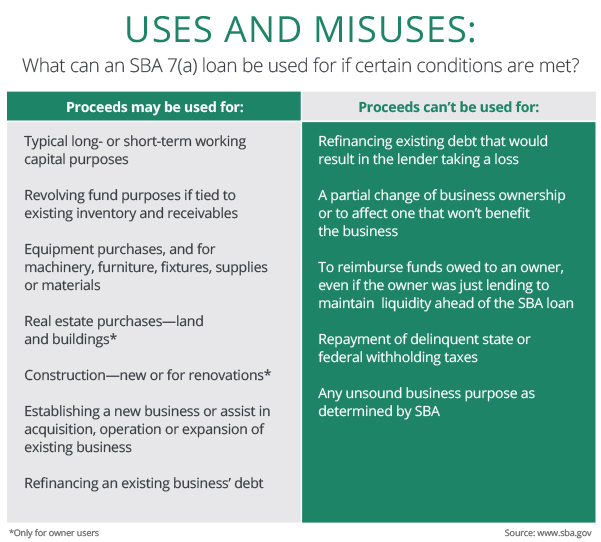 Some companies avoid SBA financing due to the misperception that the loans are intended for troubled companies. That’s not the case. SBA borrowings are beneficial to qualifying companies and don’t endanger the ability to borrow in the future through other channels. Another common misperception about SBA loans arises over the size of companies that are eligible for the program. The SBA definition of “small” is rather generous. SBA uses two size standards. For manufacturing concerns, a company is considered “small” if it has no more than 500 employees. For nonmanufacturing businesses, the agency defines firms as small where average annual receipts don’t exceed $7.5 million. The size of an SBA loan can also accommodate a broad range of needs. For 7(a) loans in particular, which accommodate a wide range of purposes, loans are made to a maximum of $5 million. There is no minimum amount. The average loan amount, according to the SBA, was $337,730 in 2012. 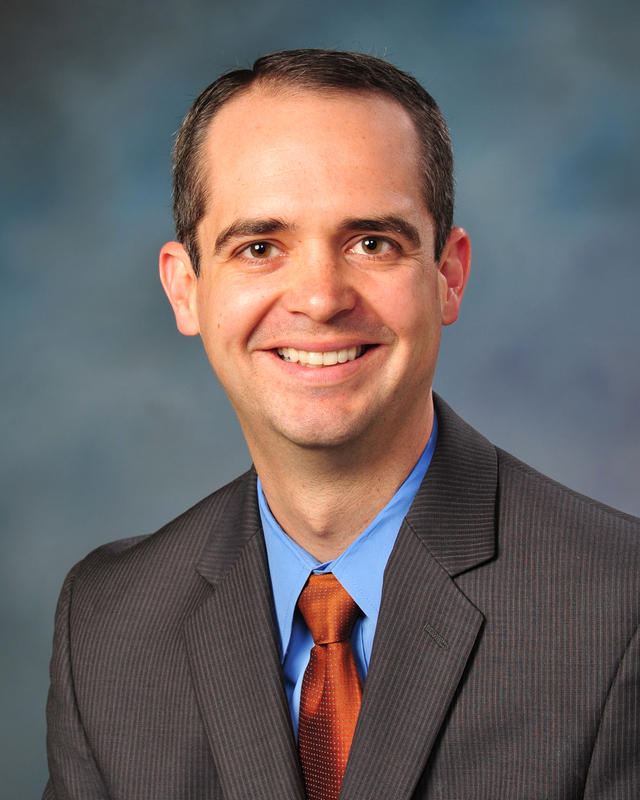 The terms of an SBA loan are also hard to beat. Maturities are based on the ability to repay. Interest rates are negotiated with the lender but subject to SBA maximums. The length of the approval process varies, but with the SBA Express product, decisions are typically made within 36 hours. To learn whether an SBA 7(a) loan or some other financing arrangement would be appropriate for your business, talk to your banker. Officials in the U.S. Treasury Department and Puerto Rico are discussing the possibility of issuing a ‘superbond’ that would help restructure the commonwealth’s $72 billion of debt. Preliminary discussions of the plan include the Treasury or designated third party administering an account holding at least some of Puerto Rico’s tax collections, with those funds being used to pay holders of the ‘superbond’. Puerto Rico has warned that the country will run out of cash in November, before a debt payment of almost $300 million is due on December 1st. Iran’s parliament passed a bill this week supporting the Obama-brokered nuclear deal, removing a major obstacle to putting the agreement into practice. The Iran nuclear deal which was reached with six other world powers provides for the lifting of sanctions for oil exports out of Iran and would double its oil exports to 2.3 million barrels per day in exchange for monitoring of Iran’s nuclear capabilities. Equity markets continued to advance upwards this week. The S&P 500 ended the week up 0.93%, closing at 2,033. Similarly, the Dow Jones increased 0.77% and closed at 17,216. Year to date, the S&P is up 0.37% and the Dow is down 1.58%. Yields in the Treasury markets moved lower this week. The 10 year Treasury bond now yields 2.04% while the 5 year Treasury bond now yields 1.36%. The spot price of WTI Crude Oil declined this week. Prices fell by 4.78% closing at $47.26 per barrel. In 2015, WTI Oil prices are down 19.61%. The spot price of Gold increased this week, gaining 1.80% and closing at $1,177.30 per ounce. Year to date, gold prices are down 0.60%. Initial jobless claims came in at 255,000 which was a decrease from the prior week’s figure of 263,000. This was the lowest level of claims since December 1973. The Labor Department noted that there were no special factors that affected the claims figure, although it’s believed a portion of the decline may have been due to seasonal adjustment factors. The four week moving average for claims now stands at 265,000. Retail sales increased by only 0.1% in September, falling short of estimates of a 0.2% gain. Details of the report offered no obvious explanation for the weak print which was actually worse than the headline as retail sales excluding cars declined by 0.3%. The Consumer Price Index (measure of inflation) declined by 0.2% in September, reflecting another drop in energy prices (-4.7%). The Core CPI reading (excludes food and energy) increased by 0.2%, bring the 12 month increase to 1.9%. The University of Michigan’s consumer sentiment index increased to 92.1 in the first October reading, up from 87.2 in September. The rebound is an encouraging sign in light of recent weakness in other timely economic measures. Both the report’s measure of perception of current conditions and expectations for the future increased. Until the year 2000 stock prices on U.S. exchanges were expressed in fractions (ie. $49 3/8). The US lagged behind other major stock markets like the London Stock Exchange which had switched to a decimal format several years earlier. Eventually the U.S. caught up when congressional leaders enacted a law that mandated the switch to decimals as an effort to make understanding stock values easier for the average investor. After five years of talks, the Trans-Pacific Partnership has been agreed to by the U.S. and a dozen nations across the Pacific Basin, reducing tariffs in countries making up 40% of the global economy. The sticking points of auto trade, dairy exports and monopoly periods for next-generation drugs were able to be smoothed out in round the clock negotiations last weekend. Although an agreement is in place, approval from Congress is likely to be a contentious battle and may not actually take place until after next year’s election. Minutes from the September Fed meeting were released this week and were mostly consistent with the message from Janet Yellen’s post-meeting press conference. Although most Fed officials saw rate increases in the relatively near future, they felt it prudent to wait for more information. However, in contrast to public comments made by Fed officials following the decision to hold off interest rate increases, the minutes do not show that the September decision was a ‘close call’. Making the country’s political and economic crisis even worse, Brazil’s Federal Accounts Court has ruled that President Dilma Rousseff manipulated government budget figures in 2014. This comes off the heels of the nation’s highest court permitting a lawsuit to annul last year’s presidential election. The ruling paves the way for a potential impeachment of the controversial Rousseff, though any ouster is likely to take months if successful. Equity markets continued to rally this week. The S&P 500 ended the week up 3.30%, closing at 2,015. Similarly, the Dow Jones increased 3.75% and closed at 17,085. Year to date, the S&P is down 0.55% and the Dow is down 2.33%. Yields in the Treasury markets moved higher this week. The 10 year Treasury bond now yields 2.10% while the 5 year Treasury bond now yields 1.40%. The spot price of WTI Crude Oil showed significant gains this week. Prices rose by 8.76% closing at $49.53 per barrel. In 2015, WTI Oil prices are down 15.75%. The spot price of Gold increased this week, gaining 1.66% and closing at $1,157.45 per ounce. Year to date, gold prices are down 2.27%. Initial jobless claims came in at 263,000 which was a decrease from the prior week’s figure of 277,000. The Labor Department noted that there were no special factors that affected the claims figure, although it’s believed a portion of the decline may have been due to seasonal adjustment factors. The four week moving average for claims now stands at 267,500. Prior to Wednesday, the last game the Chicago Cubs had won in the playoffs was on October 11, 2003. On that date, the S&P 500 was trading at 1,038 (now: 2,015), the Dow Jones was at 9,675 (now: 17,085) and the 10 year treasury yield was at 4.29% (now: 2.10%). Additionally, Apple stock was trading at $1.69 per share (now: $112.09) and Google was still 10 months away from filing its Initial Public Offering. With the preemptive resignation of House Speaker John Boehner paving the way for compromise, this week President Obama signed into law a bill that extends federal funding until December 11th. Had Congress not come to an agreement, the government would have shut down on October 1st. Both sides now have about 10 weeks to formulate a long-term budget, with the parties aiming to strike a two year deal. The Reserve bank of India surprised markets by reducing its policy interest rate by a greater than expected 0.5% to 6.75%. The central bank cited low inflation as the main reason for the cut. 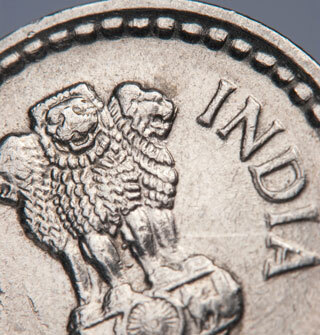 This is the fourth interest rate cut this year in India, following three previous 0.25% cuts. Equity markets increased slightly this week. The S&P 500 ended the week up 1.04%, closing at 1,951. Similarly, the Dow Jones increased 0.97% and closed at 16,472. Year to date, the S&P is down 5.22% and the Dow is down 7.58%. Yields in the Treasury markets fell this week. The 10 year Treasury bond now yields 1.99% while the 5 year Treasury bond now yields 1.29%. The spot price of WTI Crude Oil decreased slightly this week. Prices dropped by 0.11%, closing at $45.65 per barrel. In 2015, WTI Oil prices are down 22.35%. The spot price of Gold decreased this week, declining 0.72% and closing at $1,137.99 per ounce. Year to date, gold prices are down 3.92%. Initial jobless claims came in at 277,000 which was an increase from the prior week’s figure of 267,000. The Labor Department noted that there were no special factors that affected the claims figure. The four week moving average for claims now stands at 271,000. The Case-Shiller home price index unexpectedly declined in July, showing prices falling 0.2% vs. an expected gain of 0.1%. Prices fell in 11 of 20 cities covered by the index. Over the past 12 months, home prices have risen a solid 5.0%. Nonfarm payrolls were 142,000 for the month of September, much lower than the forecasted figure of 201,000. Nonfarm payrolls for July and August were also revised down by a combined 59,000. Unemployment was unchanged at 5.1% and average hourly earnings remained flat. This week in 1981, the U.S. government issued 20-year Treasury bonds at a 15.78% yield, an all-time record high interest rate for any U.S. government issue.